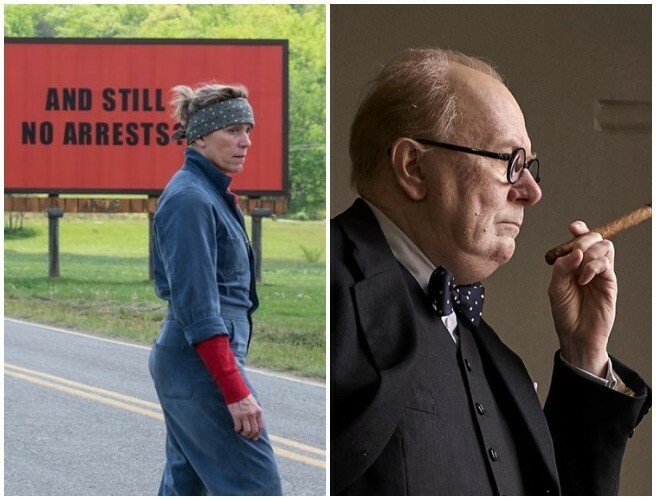 With awards season and Dry January in full swing, it's the perfect time of the year to go to the cinema. After months have passed without a culprit in her daughter’s murder case, Mildred Hayes (Frances McDormand) makes a bold move, commissioning three signs leading into her town with a controversial message directed at William Willoughby (Woody Harrelson), the town's revered chief of police. Set in the days of World War II, newly appointed Prime Minister of Great Britain, Winston Churchill (Gary Oldman), must decide whether to negotiate with Hitler, or stand firm to fight for the ideals, liberty and freedom of a nation. This supernatural thriller welcomes back Dr. Elise Rainier, the brilliant parapsychologist who faces her most fearsome and personal haunting yet: in her own family home.